Collect Box Tops from participating food items to earn money for Elm Creek. 1. Find Box Tops on packaging of hundreds of products. 3. 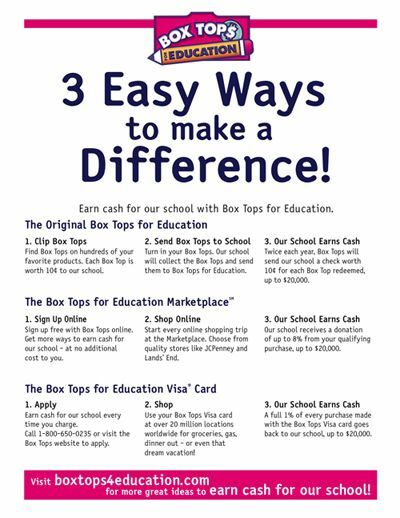 Send Box Tops to school with your child. Collection box is located in the hall near the office.